Facebook engagement is getting increasingly challenging. With over 70 million businesses worldwide using Facebook Pages and 20 million communicating using Facebook Messenger, Facebook has become the norm of consumer and business engagement. Unlike slow conventional marketing, Facebook is a mechanism for instantaneous connection with customers and audiences, allowing a more tailored and specialised form of digital content for targeted consumers. Too often businesses rely on advertising and don’t put enough thought into organic content, often resulting in a failure to convey key messages and ultimately stifling any meaningful engagement with their target audience. Now, with updates to Facebook’s news feed algorithm earlier this year, public content like businesses, brands and media are less visible in users’ feeds than they used to be, fuelling the need to formulate an effective Facebook campaign that cuts through to your audience. 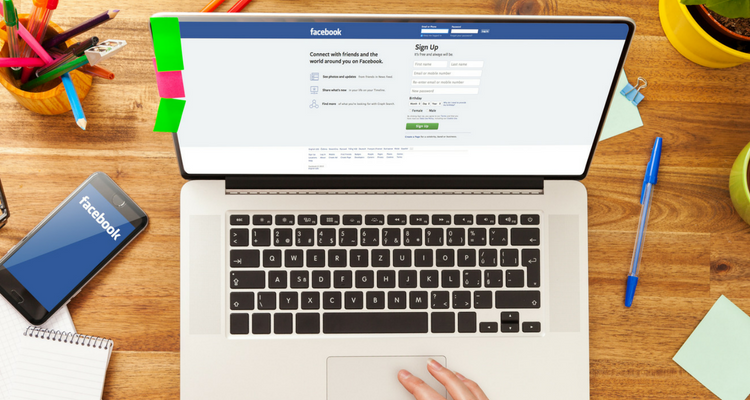 Here are 8 tactics you can use to increase engagement on your business Facebook page. Have a strategic content plan uses all content streams – such as a promotional stream that communicates news about your brand, an informative stream that provides interesting information about the area your brand operates in or type of product it offers, an entertaining stream of posts such as ‘Throwback Thursdays.’ Use software such as Typito and Facebook Slideshow (which has recently rolled out to Facebook Ads Manager) to create engaging content to interest a wider array of potential consumers and clients. Put simply, one-third of your Facebook posts should be stories and anecdotes, one-third should involve personalised communication with your followers and potential consumers and the last third can be designed to promote your business. Posts that are engaging and varied create a strong narrative for your brand. Create a content calendar to ensure your Facebook content streams are strategic, varied and promote key messages. This eliminates the tendency for businesses to resort to a spray-and-pray approach to consumer engagement. More importantly, maximise the visibility of your Facebook post by posting during peak consumer activity. This window is roughly between 8 am to 9 am on weekdays and 11 am to 2 pm on the weekends. Look for influencers with a strong following that reflects your own target audience, and a strong engagement rate. Negotiate any contra arrangements well before any promotions are done. Contra arrangements are where your business ‘gifts’ the influencer with a product or service to enable them to sample it, and they offer a social post in return. Influencers are useless if they don’t possess the values and opinions that directly correlate with your brand image. Failure to do so can mean their bad publicity will soon become yours. Use an online platform such as Keyhole, Hootsuite or Sprout Social to track keyword descriptions in Facebook posts and monitor consumer comments. Consistently using keywords in your own video descriptions and posts is effective in bringing your content to the top of the page in search engines. You can also find voices on the internet that can champion your brand and counter negative electronic word of mouth. Social media listening can not only build your reputation, but potentially salvage it. Facebook and social media cannot be the sum of your marketing strategy. Design your Facebook content to act as a touch point directing viewers to your website for information such as product sales and new releases. Integrating content across other social media including Twitter, Instagram or YouTube presents more opportunities for your business to engage with consumers and build positive, long-term relationships. Ads are often relied on too heavily, but they do have a role to play in your Facebook strategy. Sponsored ads are easy to create, so use Facebook adverts to ensure your ads target a specific location for maximum effectiveness. By creating an ad with a landing page and contact information, you can set a target radius to a city, state or even worldwide. While you are a business, don’t conform to a corporate image seen too often on Facebook. Remain professional but human; share images and posts of your employees, customers and other relevant stakeholders working happily or engaging positively. Followers will likely react positively to your brand if you show a little personality. Davide is Head of Strategy at highly reputable digital marketing agency SEO Shark, where he leads a team of 20 marketers across a portfolio of SME’s multinational clients and several ASX-listed companies such as Optus. Davide develops digital marketing strategies with big business objectives in mind, as he has 18 years’ experience as an entrepreneur. He has founded and operated companies across Australia and Europe, from a tech start-up which he grew to 15 million subscribers, to an online marketplace services company.